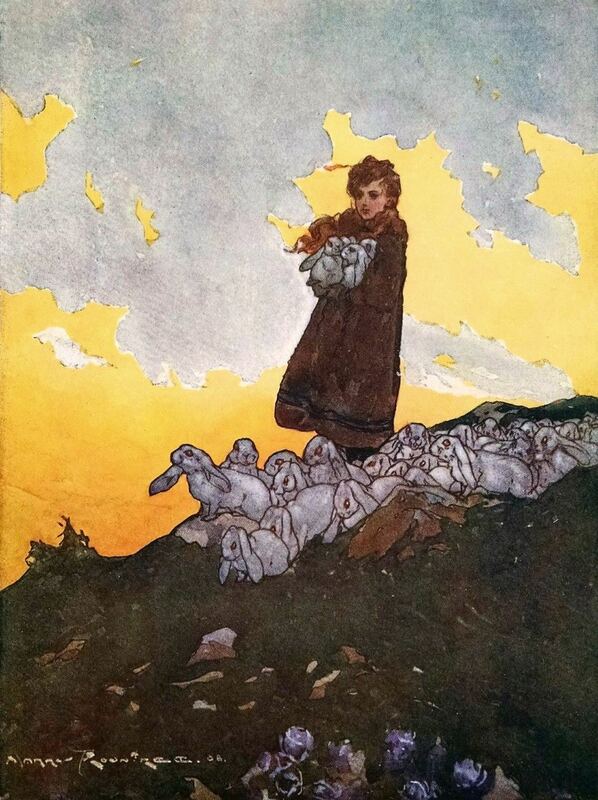 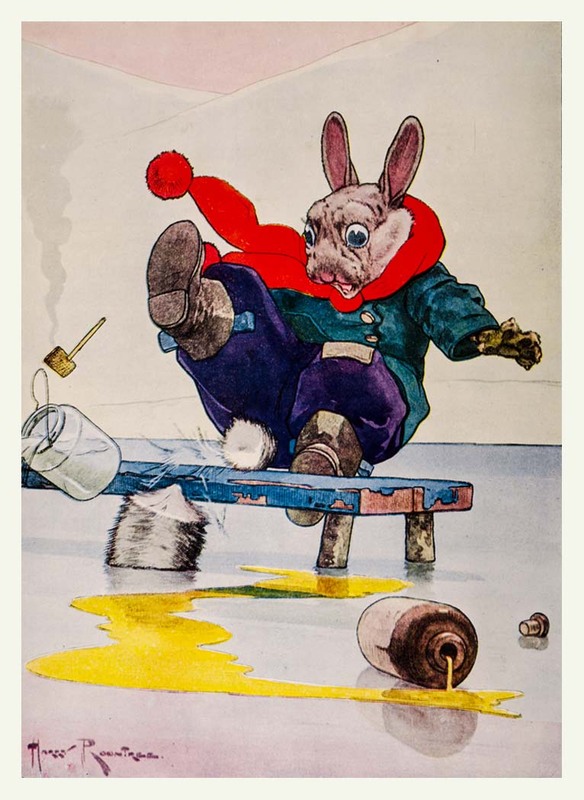 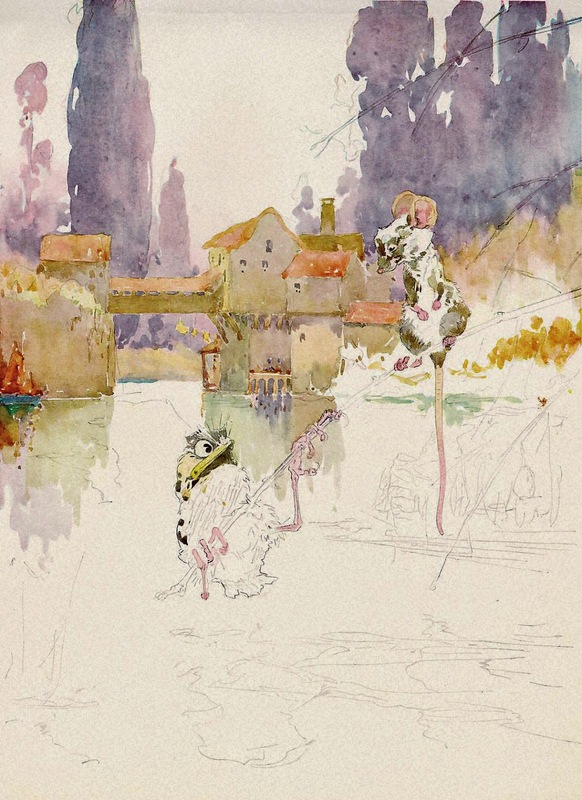 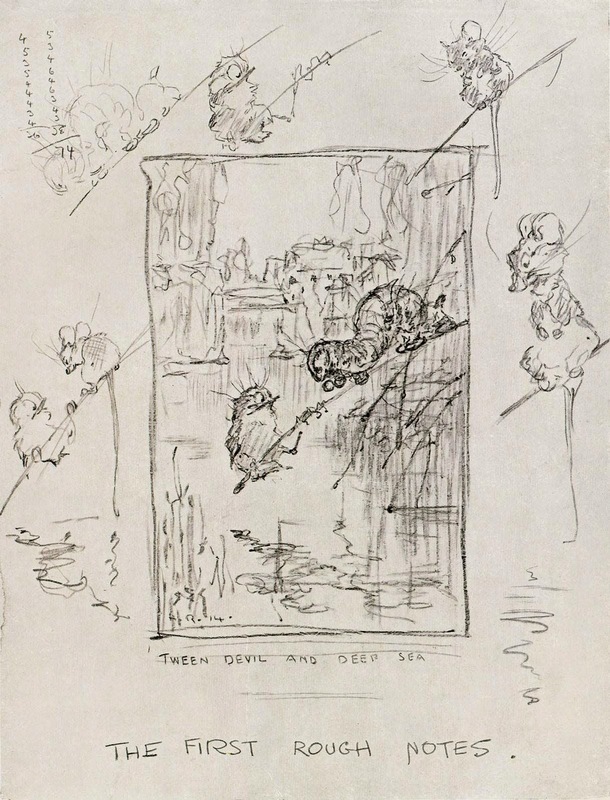 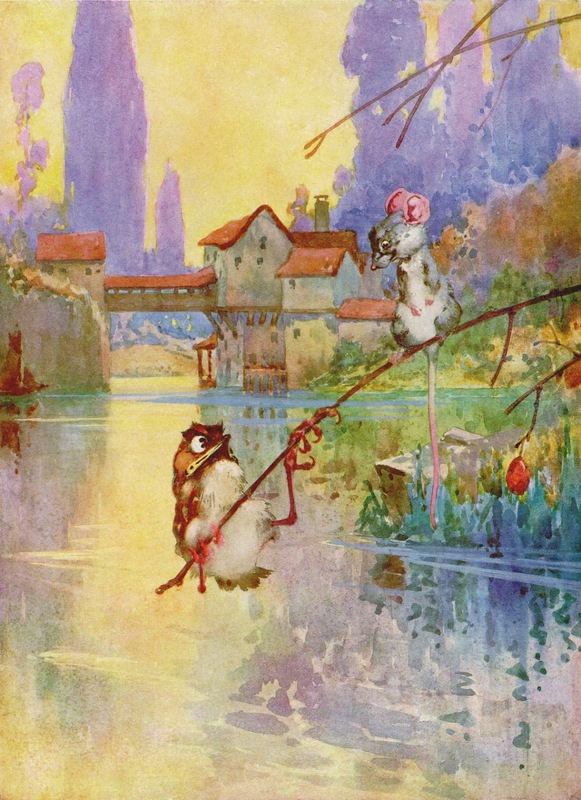 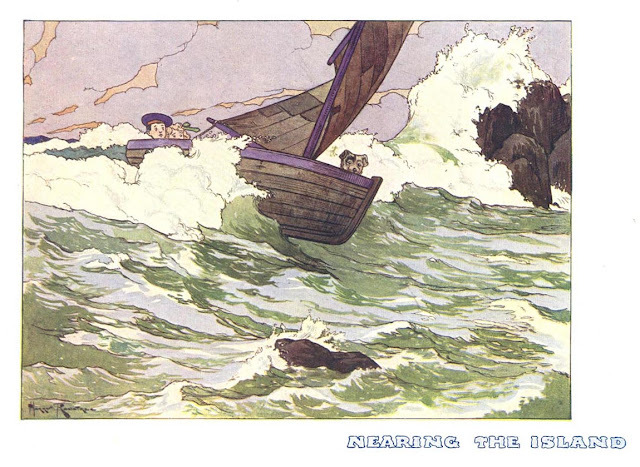 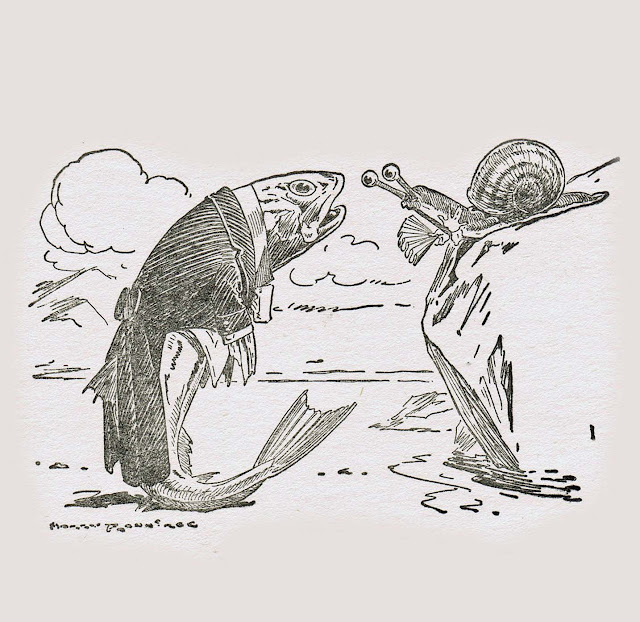 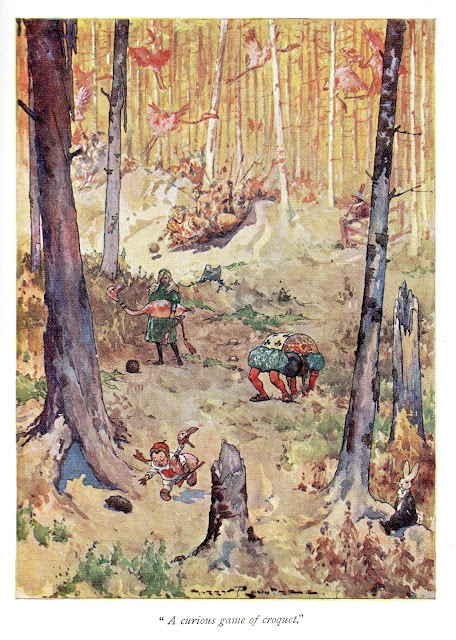 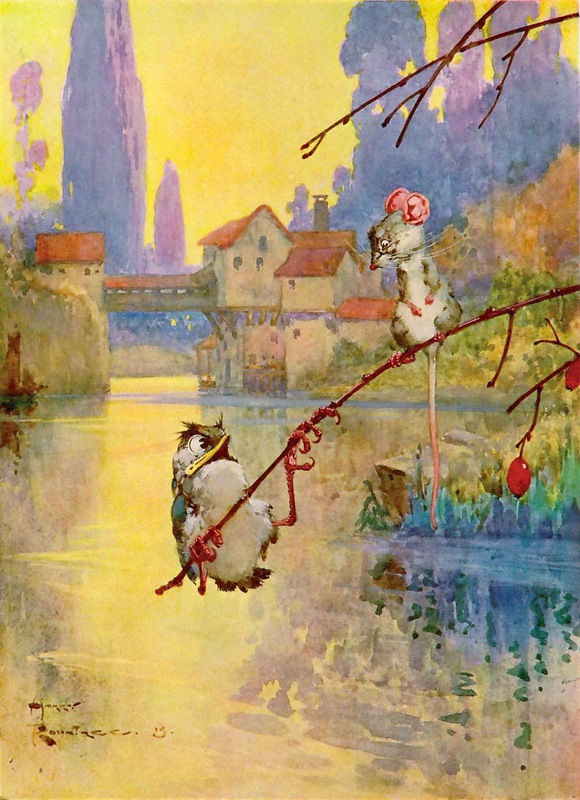 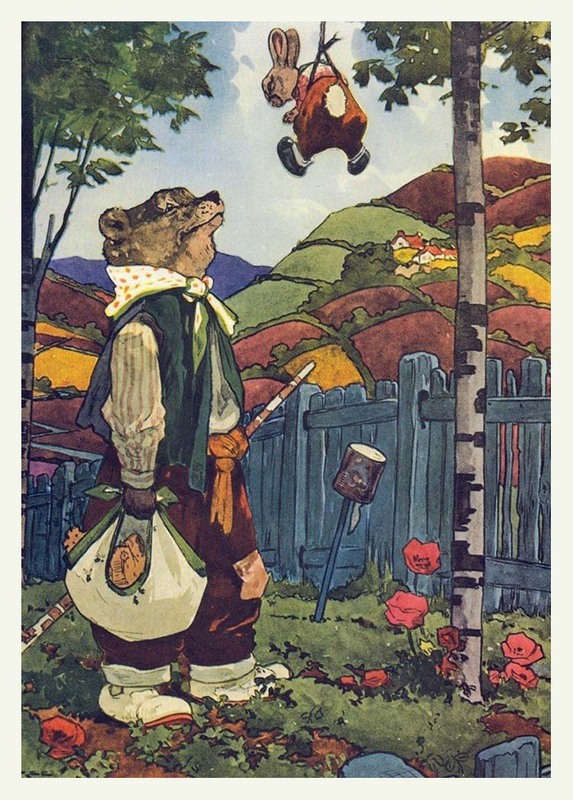 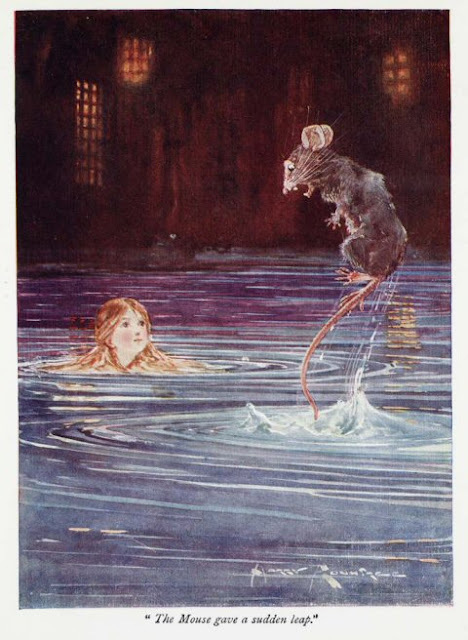 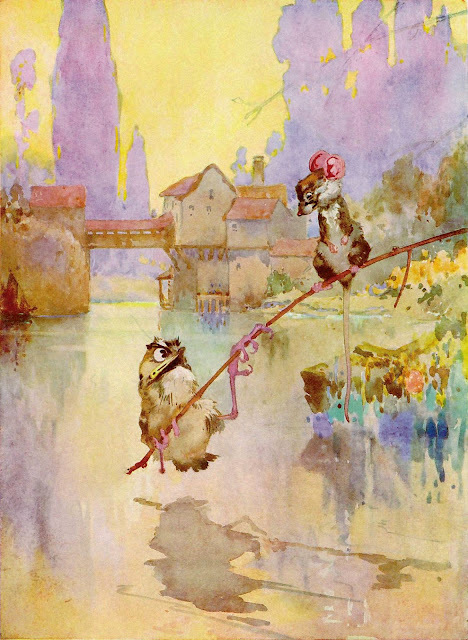 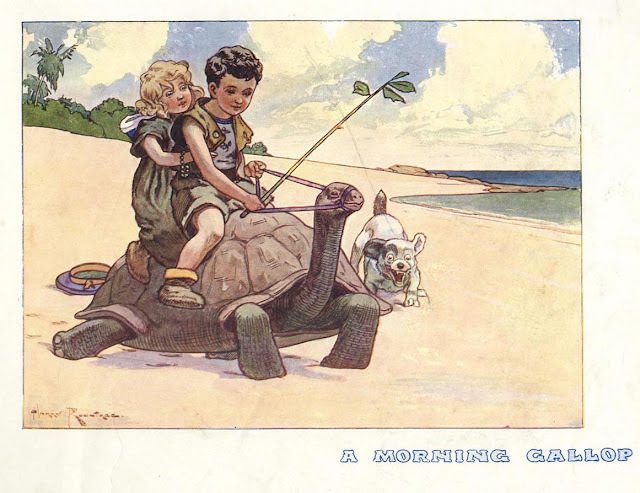 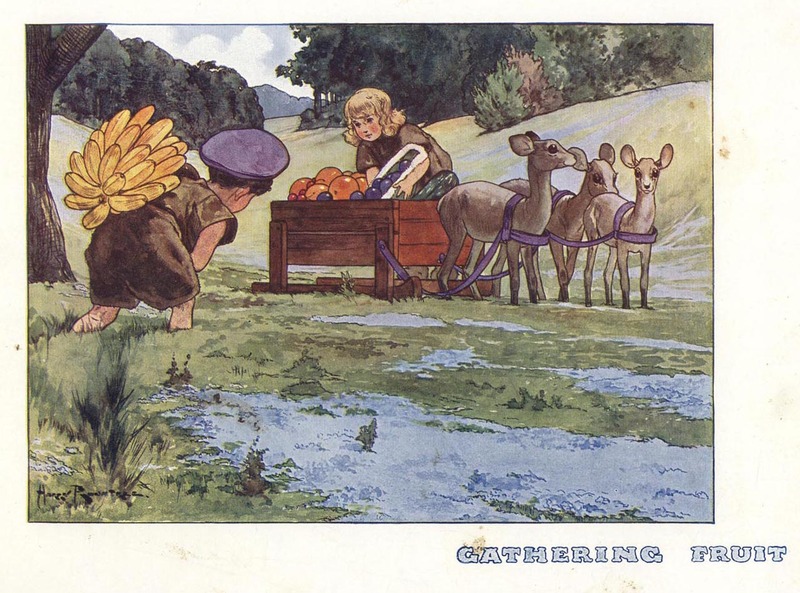 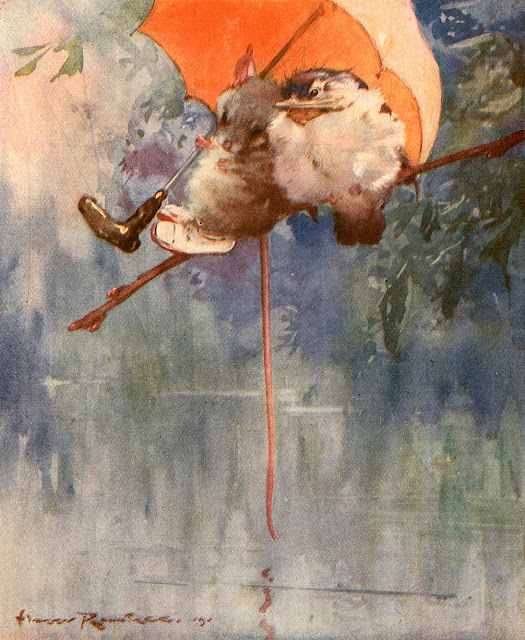 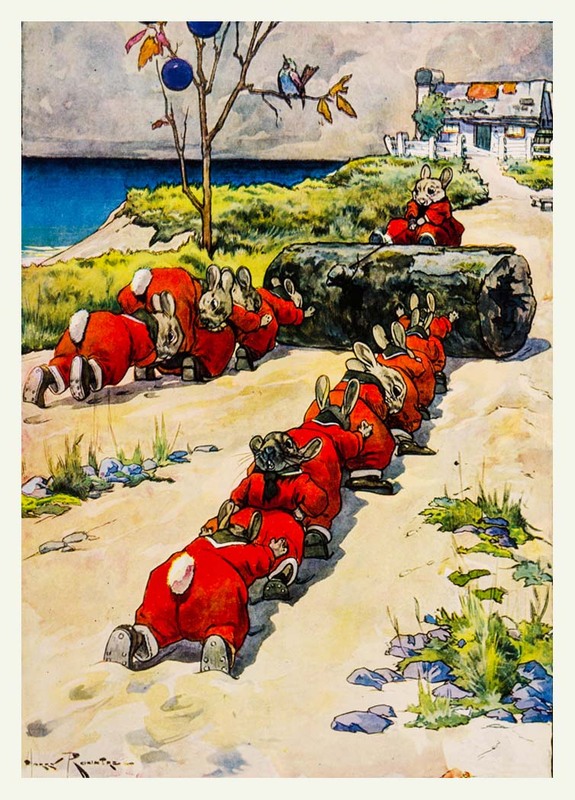 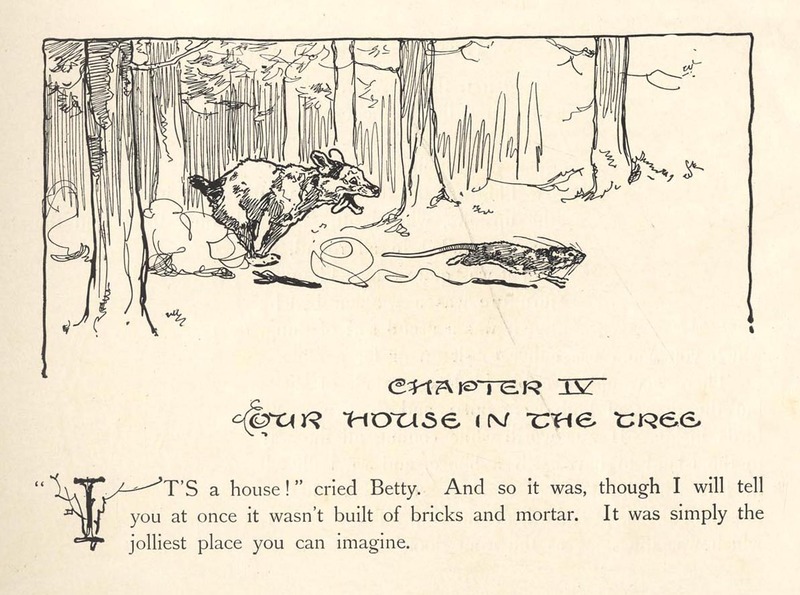 Harry Rountree (1878 – 1950) was a prolific illustrator, mainly for children. The son of a banker, Rountree was born in Auckland, New Zealand. He was educated at the city’s Queen’s College, and began work as a lithographer in a commercial studio, designing labels for jam jars and other products. 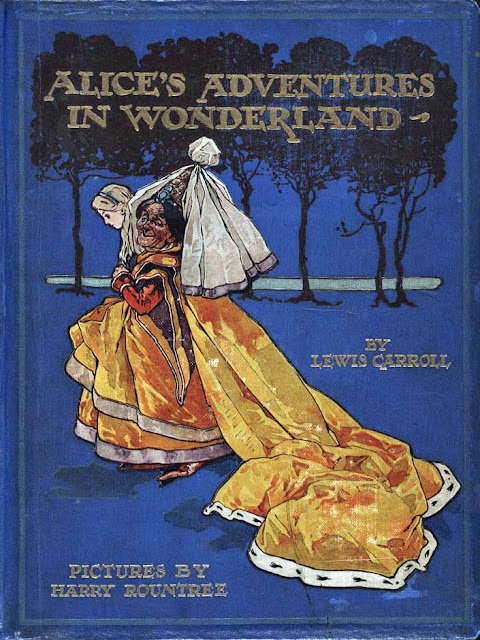 In 1901, aged 23, he migrated to London and studied under Percival Gaskell at the Regent Street Polytechnic. 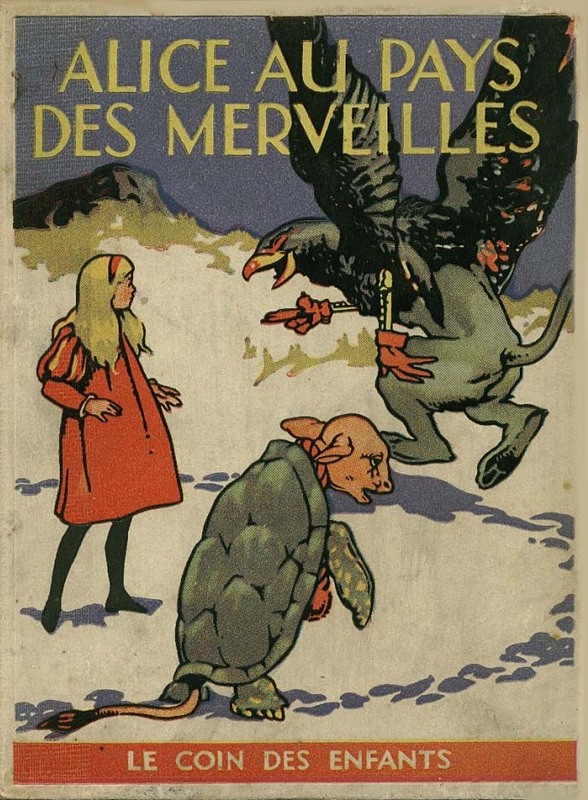 The style he evolved there developed fin-de-siècle elements for comic ends, and his use of blocks of flat colour surrounded by thick jagged lines was found suitable for both small-scale illustrations and for large posters. He began to contribute to such periodicals as the Humorist, Playtime, and Punch. 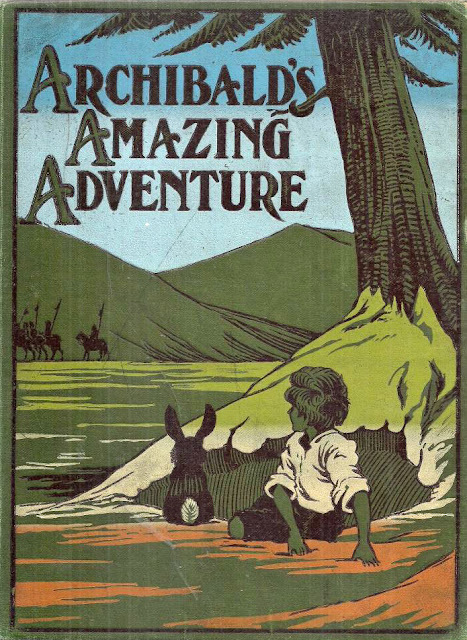 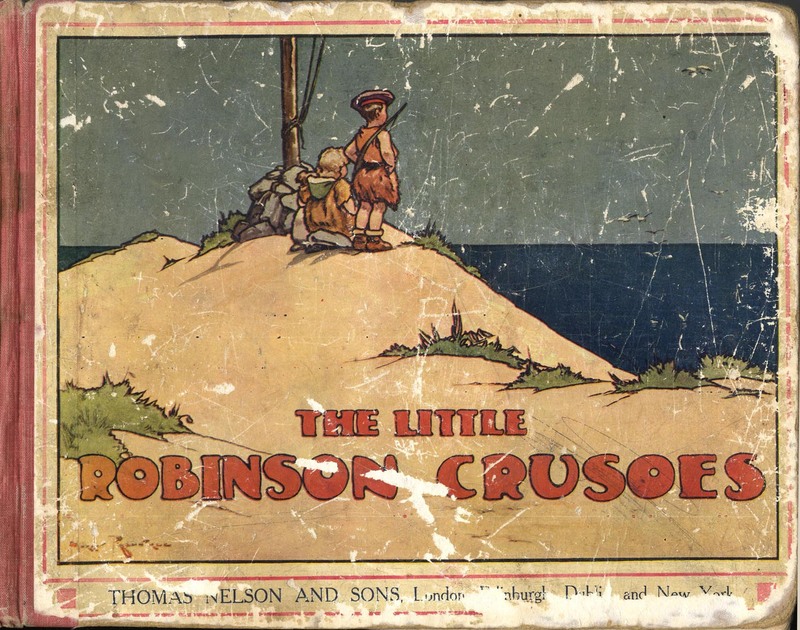 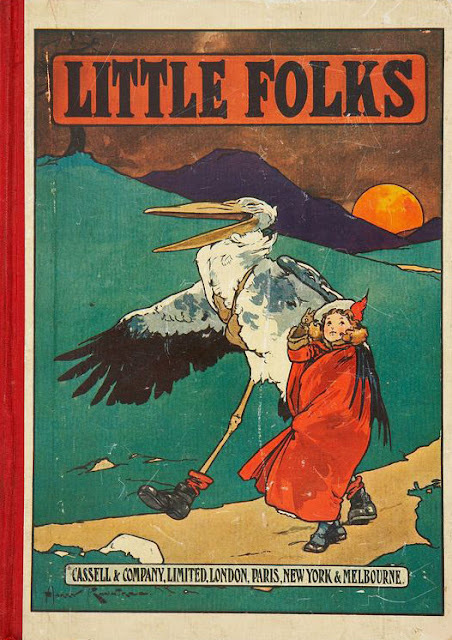 From 1903 he collaborated with the editor of Little Folks on a very successful series of books. 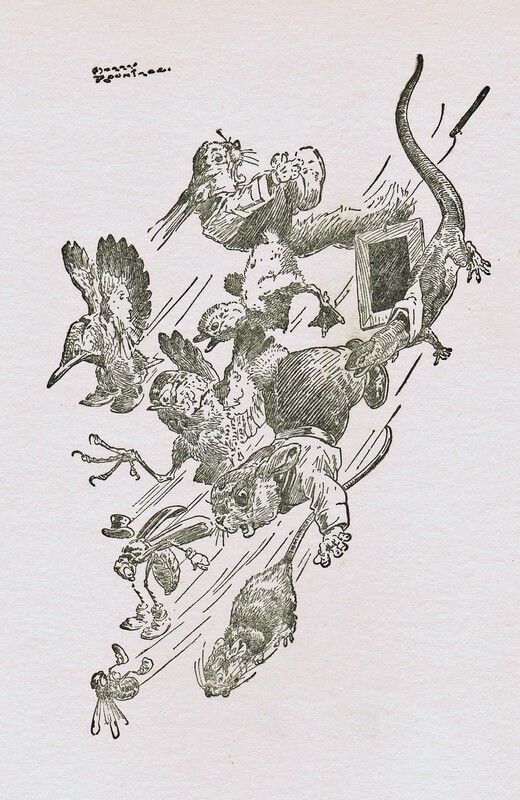 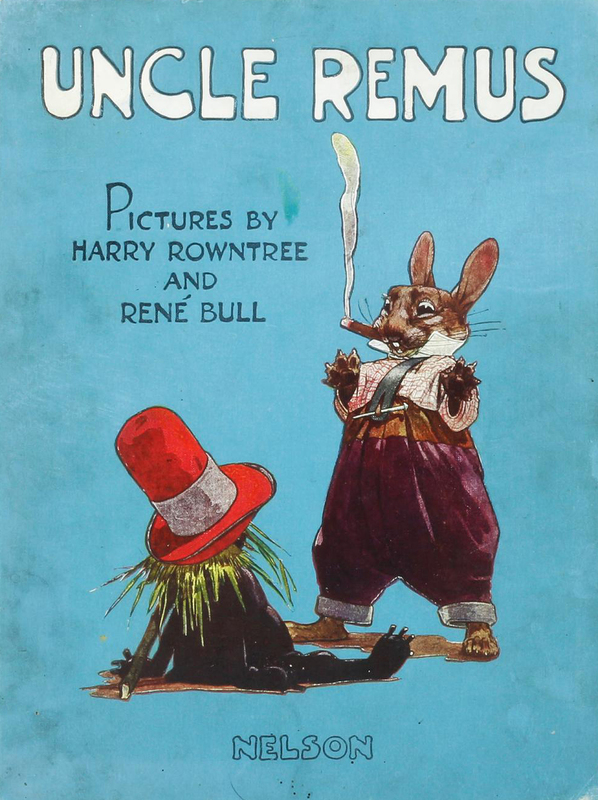 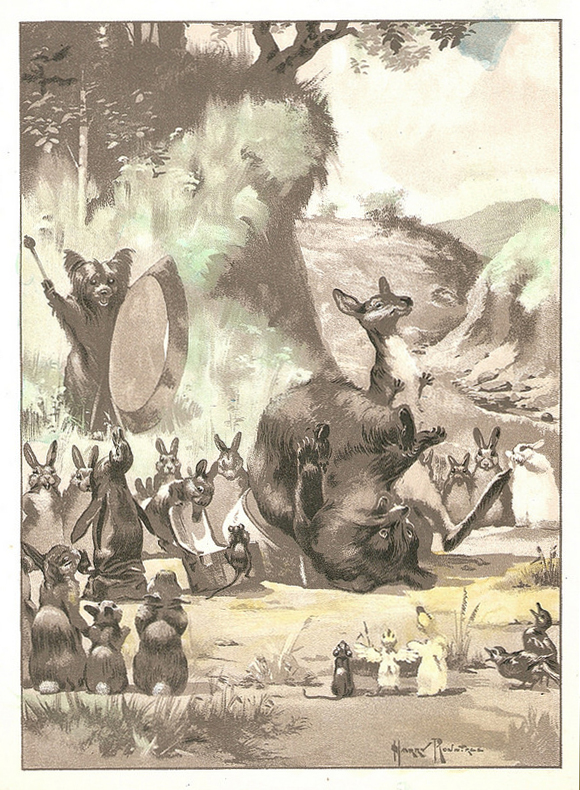 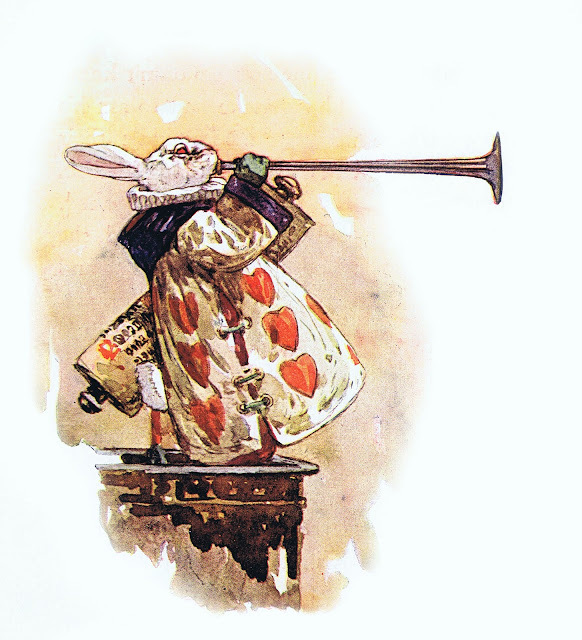 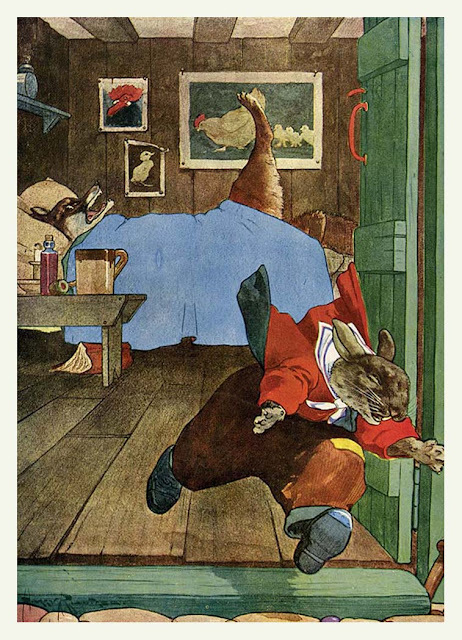 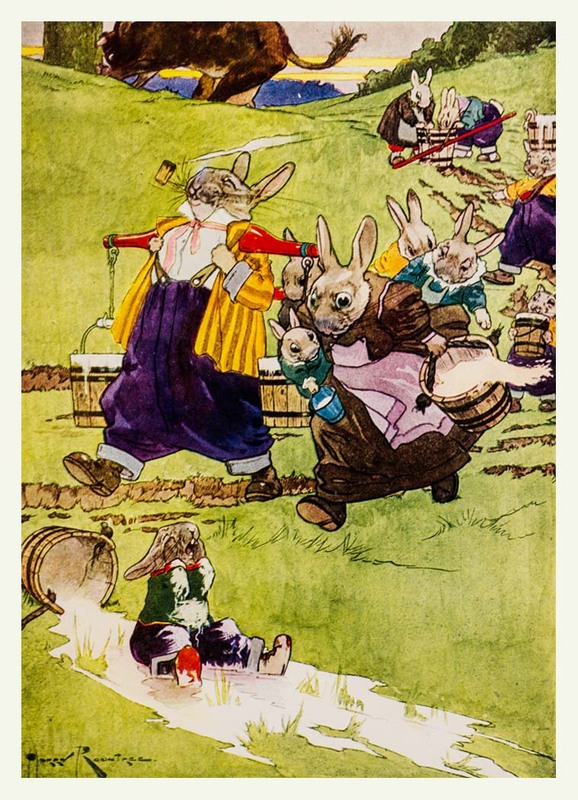 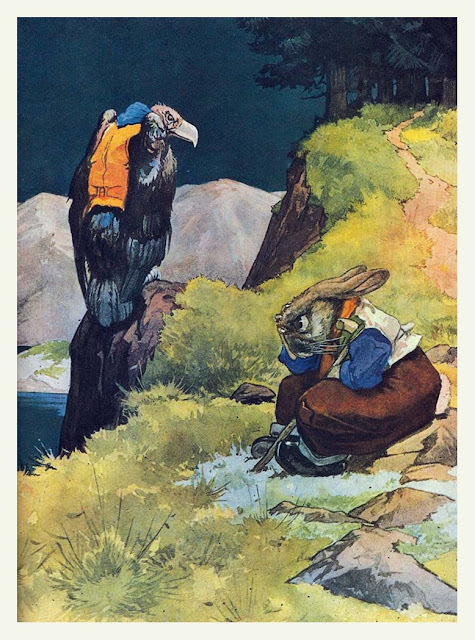 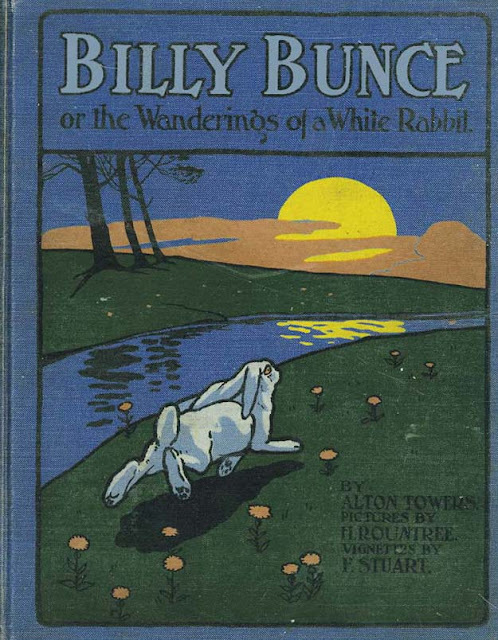 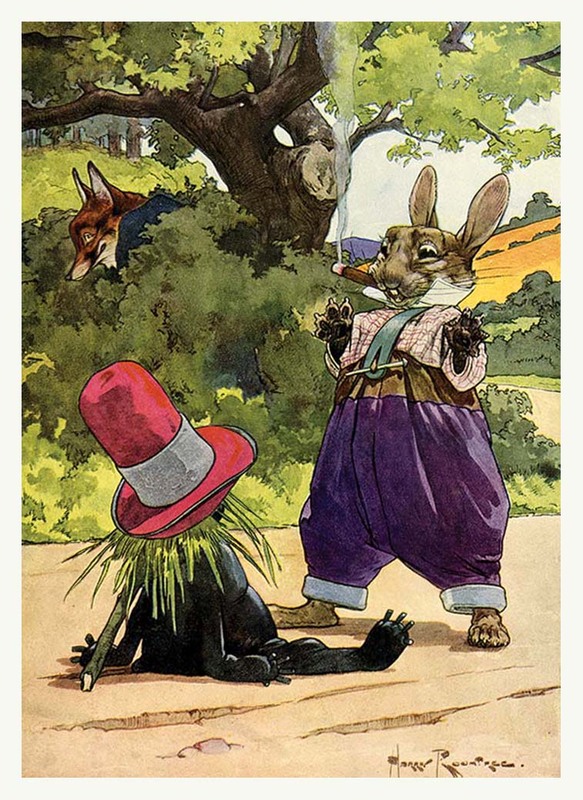 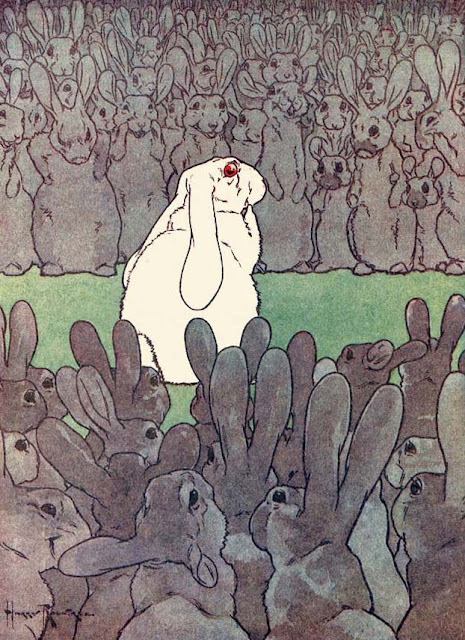 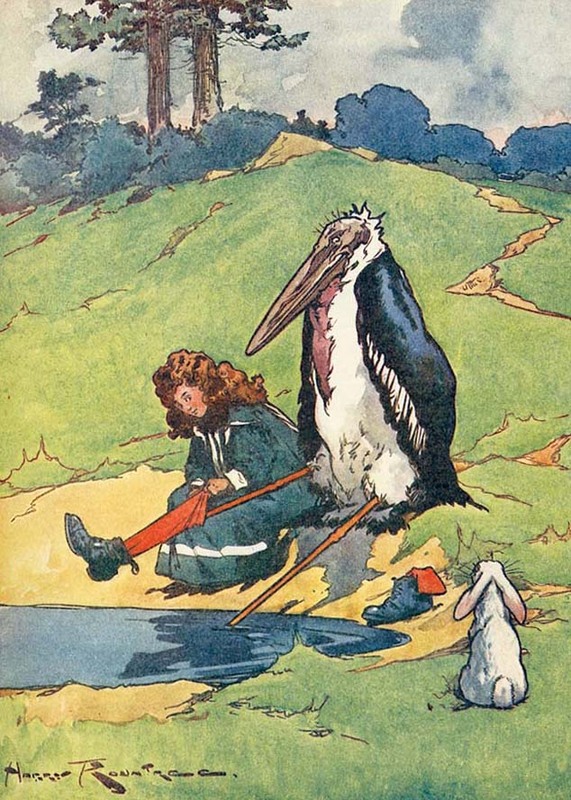 Specialising in animals, he illustrated several classics of children’s literature, including Uncle Remus and Alice’s Adventures in Wonderland. 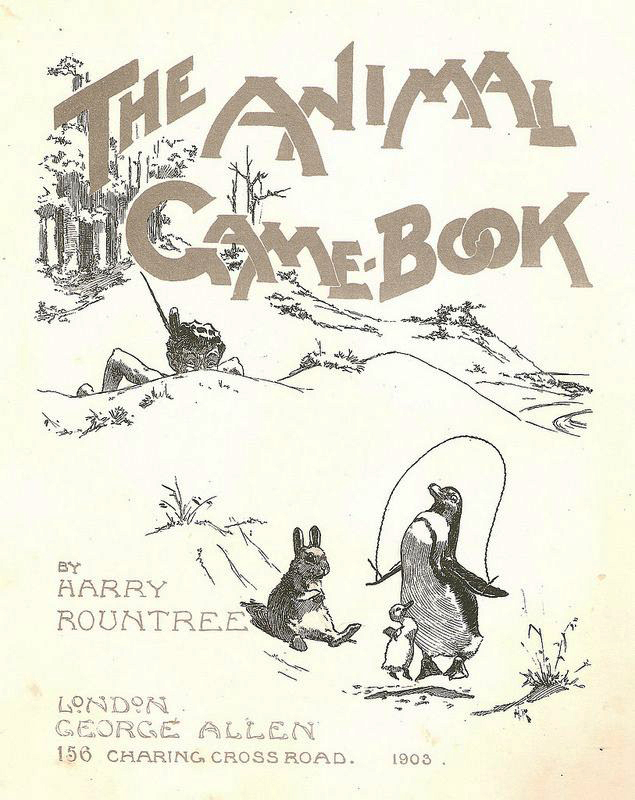 During the First World War Rountree served as a Captain in the Royal Engineers. 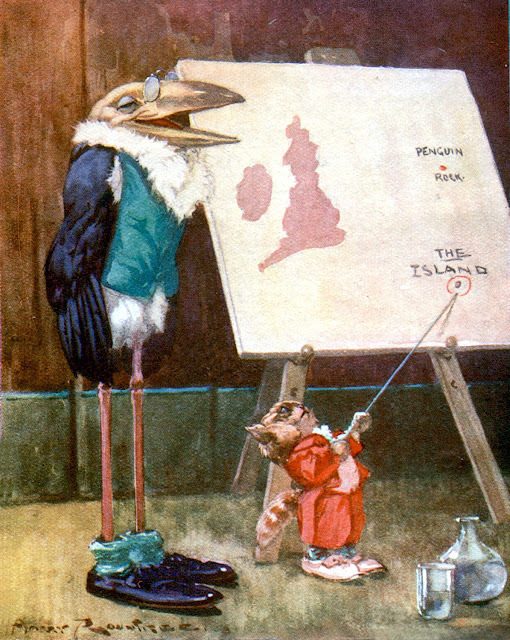 His late work included contributions to the Radio Times during the 1930s. 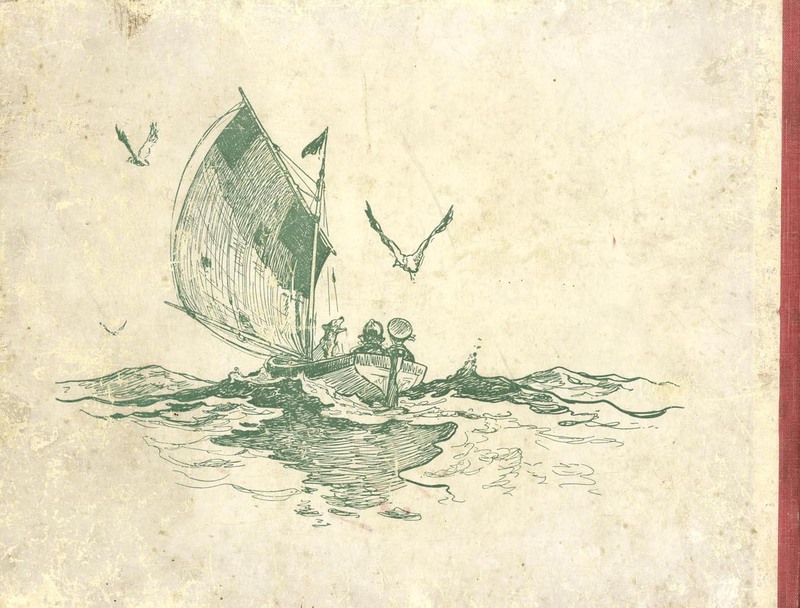 A member of the Savage Club, a leading Bohemian Gentleman’s Club, and one-time President of the London Sketch Club, Rountree was late largely forgotten and died in relative poverty in St Ives, Cornwall in 1950. 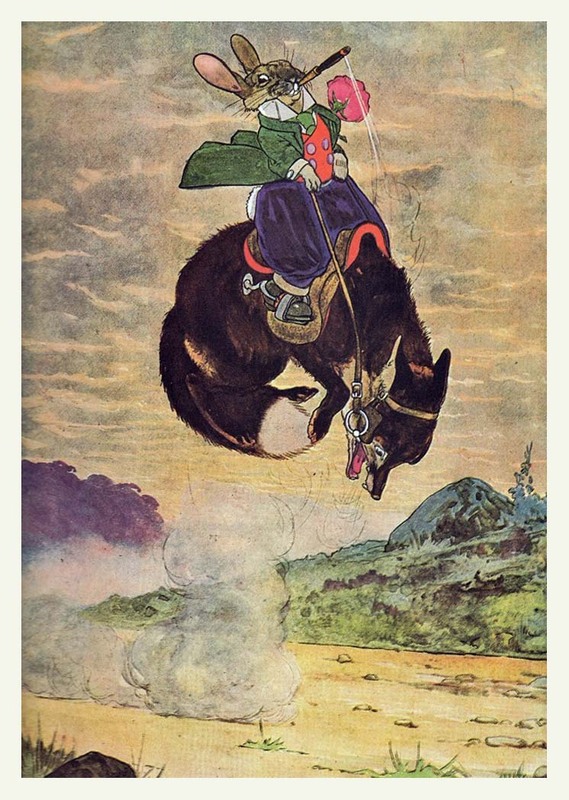 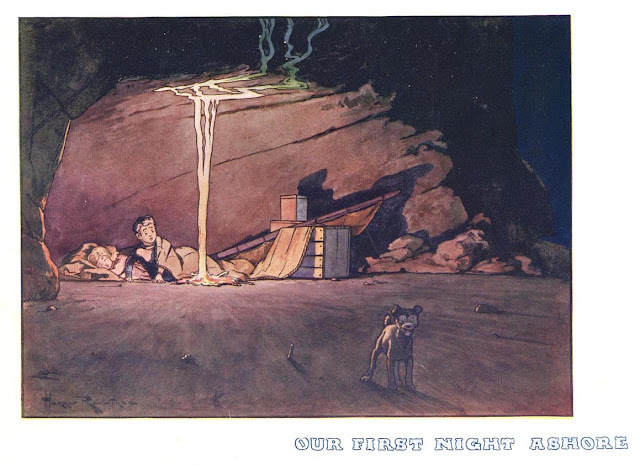 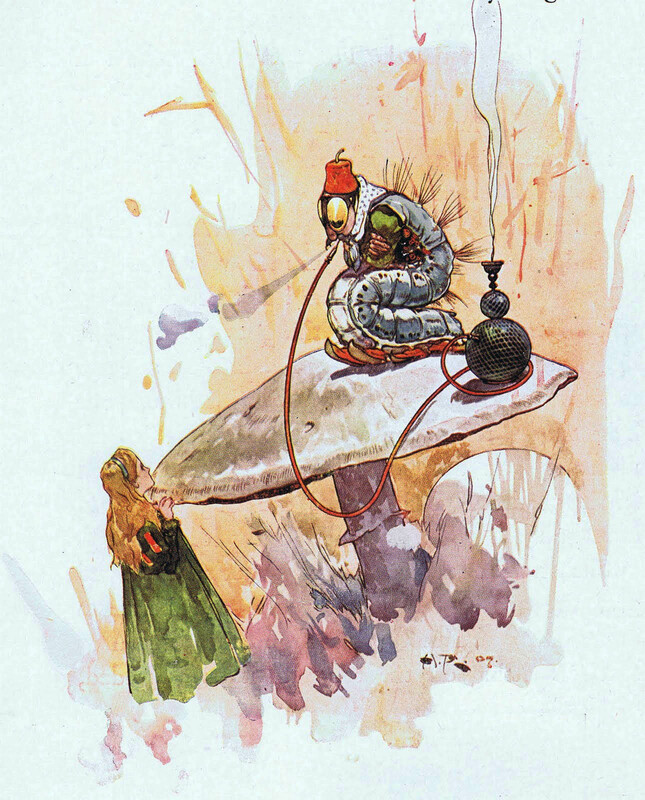 This series of posts on Harry Rountree supercedes and replaces an earlier short post about him. This is part 1 of a 6 - part series on Harry Rountree. 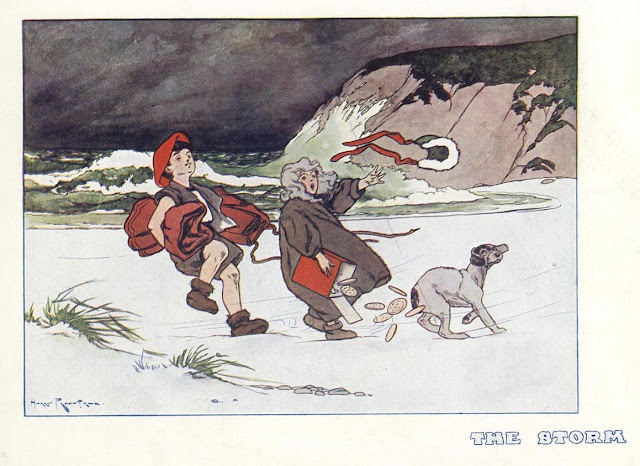 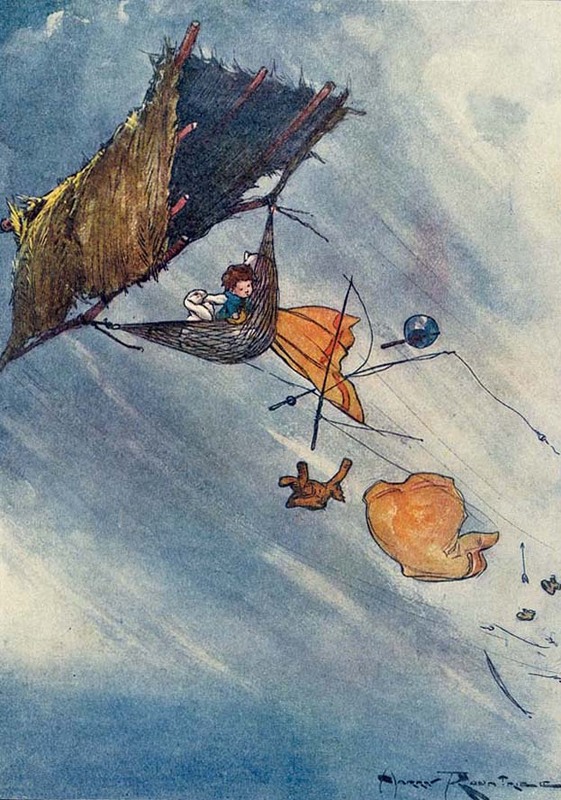 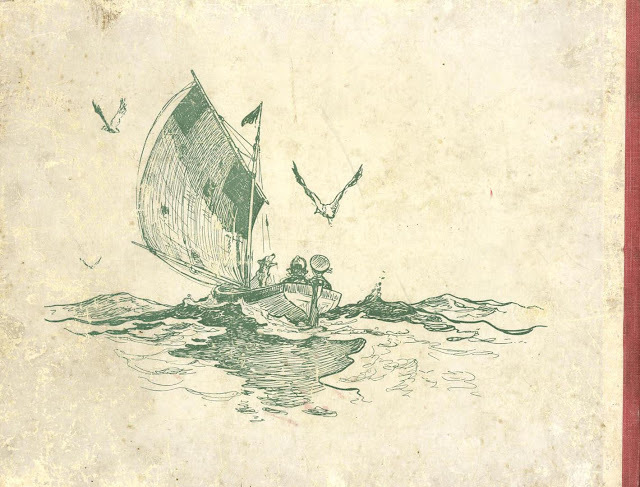 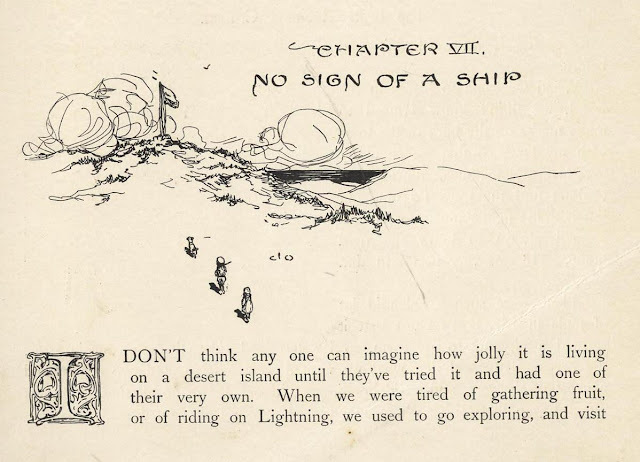 "No sign of a ship"
"Our house in the tree"
"A curious game of croquet"
"The Mouse gave a sudden leap"
1908 Children's Book illustration "The Broken Doll"
Thanks for this post. 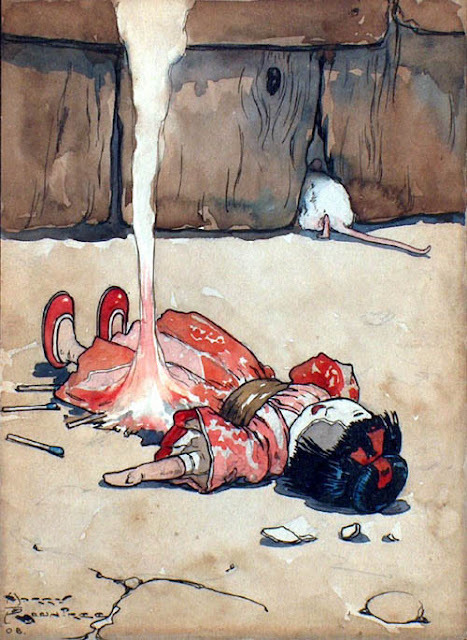 I just discovered this artist today and I'm really fascinated for his work. 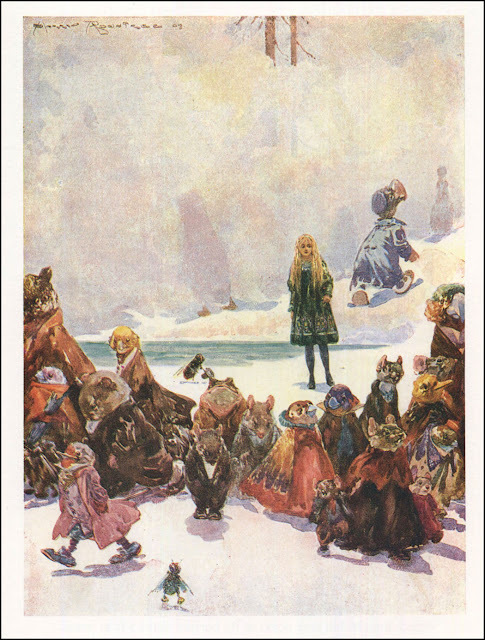 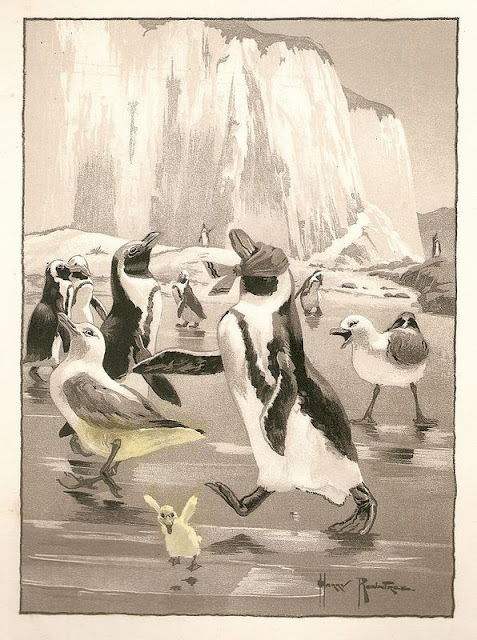 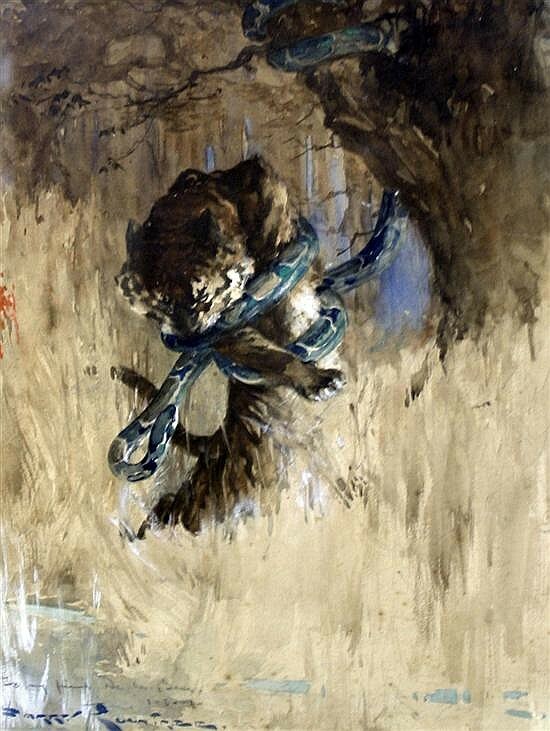 As an ardent fan of Rountree's work, I'd love to see your polar bear piece. Any chance you can share it?